Welcome back to another issue of Under the Dome! As 2009 comes to a close we would like to give you a recap of some important news and events from this past year in South Texas. During the holiday season as we gather with family and friends please remember to celebrate responsibly. Have a blessed Merry Christmas and let us look forward to a New Year of endless opportunities. I appreciate your friendship. Please call on me or my office if we can be of service. South Texas claims another successful session with the passage of legislation creating a medical school in the Rio Grande Valley. Rep. Peña has called on the state of Texas to partner with the federal government in using the proposed new health science center to house a veterans hospital for a deserving South Texas community. Disabled veterans finally received the long awaited tax exemption of their property taxes. Staying true to addressing veterans issues Edinburg WWII hero Pedro Cano will be awarded the Texas Legislative Medal of Honor. While states across the nation were forced to cut programs and raise taxes, Texas passed a balanced budget without sacrificing important services. While uncertain times may lie ahead Texas can continue to be a model of success if we continue to work together. Edinburg, Elsa and Sullivan City received a major investment in infrastructure improvements. Millions of dollars are headed to South Texas to address drainage, water and sewer needs in those communities. Elsa has been awarded over $12 million for water treatment, sewer treatment and drainage improvements. Edinburg will receive $1.9 million for drainage improvements and equipment upgrades for its water and wastewater plants. Sullivan City is going to receive $500,000 for flooding and drainage infrastructure development. We will continue to monitor state and federal funding sources for important infrastructure improvements for our community. The Delta Area welcomed Rep. Peña to the community in September. Rep. Peña opened a new state district office in Edcouch that will serve the surrounding communities of Elsa, La Villa, Monte Alto and Hargill. The office is located at the Mercado Delta on 510 N. Yellowjacket Dr. across the street from Edcouch Elsa High School. Office hours are Monday through Friday 9:00 am - 5:00 pm. The phone number is 956/262-8244 and fax 956/262-8824. Rep. Peña still maintains his Edinburg District office located at 323 W Cano. That phone number is 956/383-7444. Please come by and share your comments, concerns or questions with us at our Edinburg or Edcouch location. Census 2010 will be taking its decennial count and it is so important for our community to be involved. Census data helps to determine how more than $400 billion dollars in federal funds are distributed annually. This money can be used for improving our roads, hospitals, and schools. The questionnaire is ONLY 10 questions and will take 10 minutes to complete. Census data also determines how congressional, state senate and state house lines are drawn. Texas is expected to receive an additional three to four congressional seats. We need to fight for one of those seats for South Texas. So please tell family, friends and neighbors how important it is to fill out the census questionnaire. With the blessing of my family and the support of community and business leaders I have filed for re-election to a 5th term to the Texas House of Representatives. Together we can build upon the success of the last few sessions. There is important work that lies ahead. As a member of the House Committee on Redistricting I will fight for a new congressional seat for South Texas. Our veterans need a hospital and we must build and fund a world class medical school in the Rio Grande Valley. I hope to continue to count on your support as we work every day to make a Stronger South Texas. Thank you for reading another issue of Under the Dome. With your help we can make 2010 a great one. 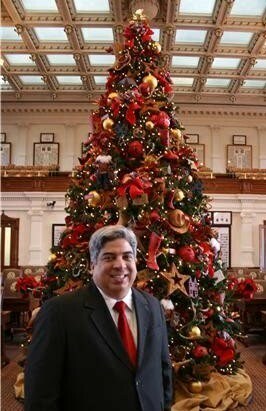 Under the Dome is a newsletter designed to compliment my blog in communicating issues and ideas important to the people in our district and the state of Texas. As another year comes to an end, it is time to reflect on the past 12 months and look forward to what 2010 has in store for us. 2009 was a busy year and I am proud of what we experienced and accomplished together. Here are a few photos to commemorate this year. I wish all of you a safe and happy New Year's celebration and a prosperous and blessed 2010. Select a slogan for the Weslaco Census efforts! 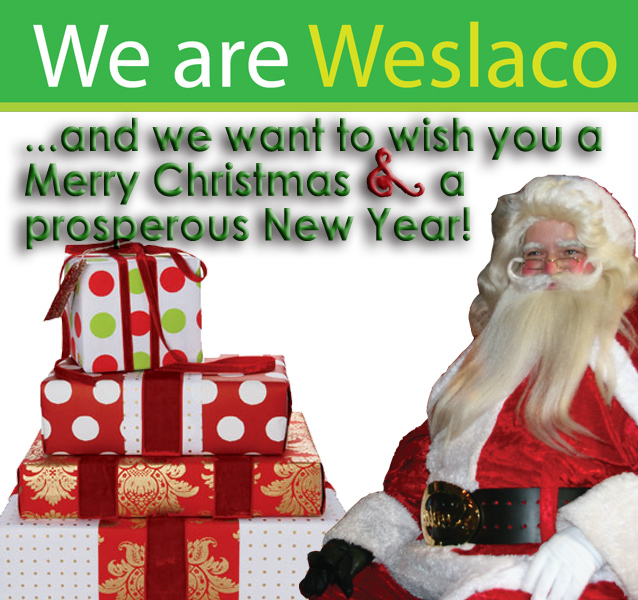 - Allows Weslaco to participate in the $300+ billion in federal funds to assist our area in many ways. State funds are also distributed based on census figures. - Transportation needs and funding for highways is determined by the population. - An accurate count will direct funds to the area to assist people in poverty. - The population count assists in attracting new businesses. - Census numbers reapportion the United States House of Representative seats and therefore will better represent Weslaco's needs in Washington D.C.
- The census assists in the planning for hospitals, nursing homes, clinics and other vital health services. To participate in the Weslaco Census Slogan contest, please submit a three to five word slogan that will best explain to Weslaco residents why it is critical that Weslaco citizens must be counted in the 2010 Census. Submission deadline is Wednesday, January 13, 2010. The winning entry will be recognized with a photo in the local paper and will be awarded valuable coupons from local merchants. Note: Children 6 months - 9 years old will need a second dose of H1N1 vaccine 4 weeks apart. Note: After some basic health history questions, a professional medical provider will administer the vaccination. This flu vaccination is not mandatory, but it is the best way to protect yourself and others from H1N1 flu. In observance to the holidays our office will close on December 31, 2009 at 12:00 noon and we will reopen our doors on Monday, January 4, 2010 at 8:00 am. BND - December 2, 2009: "
Here are some of our Mission Chamber of Commerce upcoming events for January 2010. Proudly sponsored by Mission Regional Medical Center. For booth information please contact us at (956) 585-2727. This event serves as a marketing opportunity for the Mission Chamber members and friends to network and share their business with other professionals. Be our guest for our upcoming luncheon and make your reservation at (956) 585-2727. For more information contact Crystal Santos at (956) 585-2727.
every happiness this Holiday Season has to offer and prosperity in the New Year. Thank you for being our member and friend. We look forward to continuing our relationship in the coming year. In Observance of the Holiday, our office will be closed December 24 & 25 (Thursday and Friday). 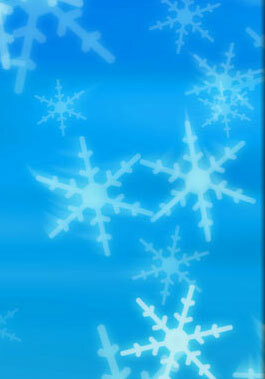 We will reopen on Monday, December 28, 2009 for normal business hours.